Discussion in 'Electric Instruments' started by fender1punk, Nov 3, 2018. I have a properly used and abused Standard 24 that I love. I got it 2nd hand and the rotary was replaced with a three-way switch. Since the tone control seems to be faulty, I was wondering if I should put the whole thing back to stock. Was interested to see who prefers the rotary over the toggle, and why. The original parts were included, but don’t seem to be useable. Anyone have a favorite place to source the proper caps and rotary as well? I've had PTC change several rotaries to 3 way toggle push pull. I think others have too. For me the dial was not that great, some ok sounds but not great. After the change each guitar was like I prefer. It will be interesting to see others' feedback on this. I like ‘em both, however neither gives you all the sounds, and some people aren’t as adept at using the rotary. Plus, you kinda gotta pick what sounds and pickup combinations work the best for you. 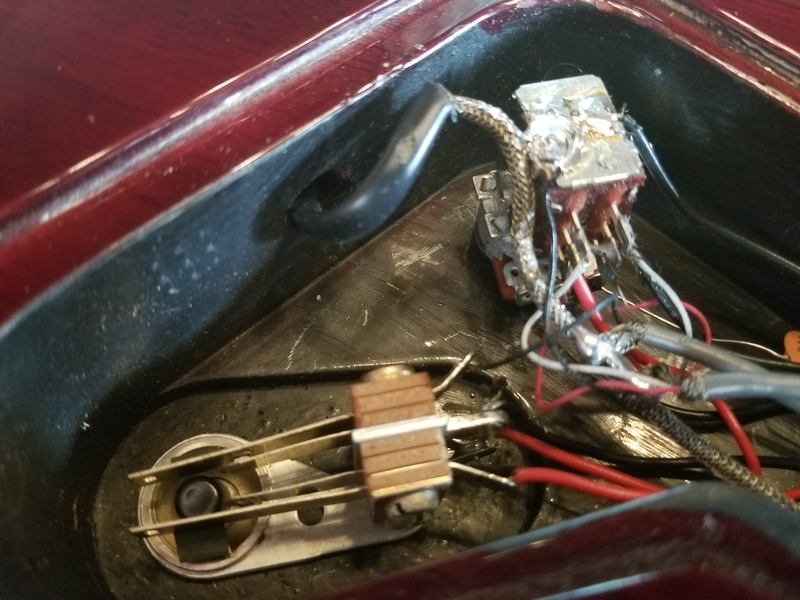 Some folks live by with humbuckers and the rotary’s lower output “Fender” split-coil combos, and other people can’t live without both ‘buckers on and being able to split the neck or bridge individually. You gotta go with what’ll work for you personally. I have an extra rotary in my drawer somewhere. If you decide you need it PM me. Tag, Alnus Rubra, vchizzle and 2 others like this. I like the rotary. I like the sounds you get that you don't get with the 3 way. I don't switch within songs much so the switching isn't difficult. Just no reason not to love the rotary. n24re and markd21 like this. vchizzle, Boogie, Mike Duncan and 2 others like this. I think the ugly solder on the tone control is my problem. Sometimes it sounds completely rolled off until I actually turn the knob a little. I hated the rotary switch the first time I tried it. I still don't love it bit I like the sounds it provides. I don't care for 3 way with one push pull. Hard to get quacky sounds out of that however I do have two prs with push pulls on both Vol and tone, I guess that could be a variation of 408 switching. I like this. Can't say which I prefer the most but I like the factory 3 way setup the least. 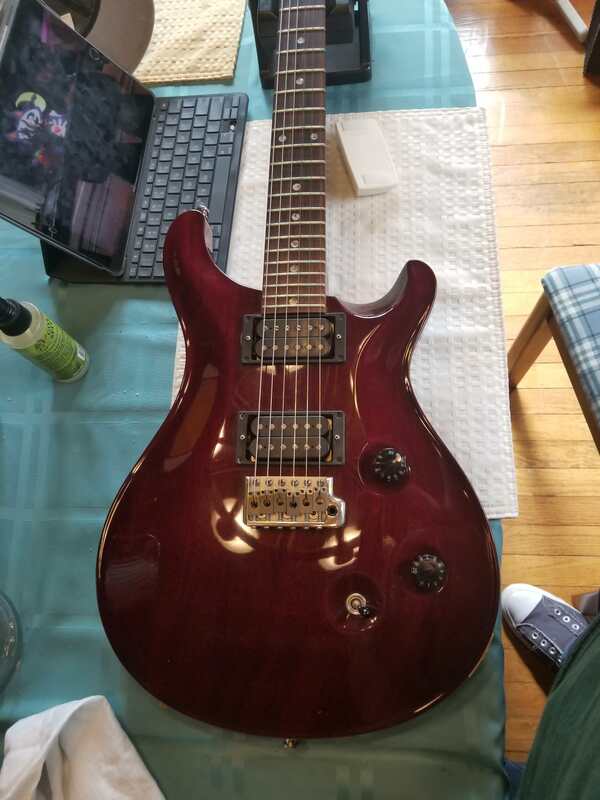 I guess if I could have 5 way blade with the push pull mod to get single coil bridge or neck that might be my favorite. ...I do have two prs with push pulls on both Vol and tone, I guess that could be a variation of 408 switching. I like this. I had a 90 CE with the 2 push pulls. I loved it. Recently traded it to another forum brother. I've never missed the guitars I've let go...until now. I would still do the trade again, but I'm gonna miss that one. I like my simple two push-pull coil tap, two push pull sweet switch, two volume, two tone, three-way toggle setup. Definitely going to look into push pulls on both volume and tone now. Alnus Rubra, Boogie, AP515 and 1 other person like this. +1 for 3 way toggle McSwitching. Guess who pulled the sweet switch yesterday when he thought he was pulling the coil tap? Tough one, I have both, I really like the 5 way rotary and those no hum somewhat single coil sounds I can get. I say keep the mod, replace the faulty tone control. What Pot are you guys using for a Push Pull Volume setup? Does it feel different from the standard Volume Pot? Are the tapers different? My feelings exactly. Need one guitar with each. There is one position on the rotary I lived on way back when. Sounded amazing into my old bassman ltd.